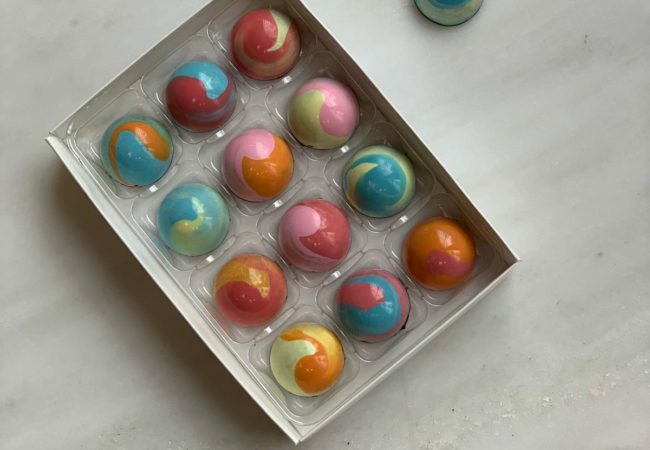 A box of 12 coloured salted caramel chocolates. 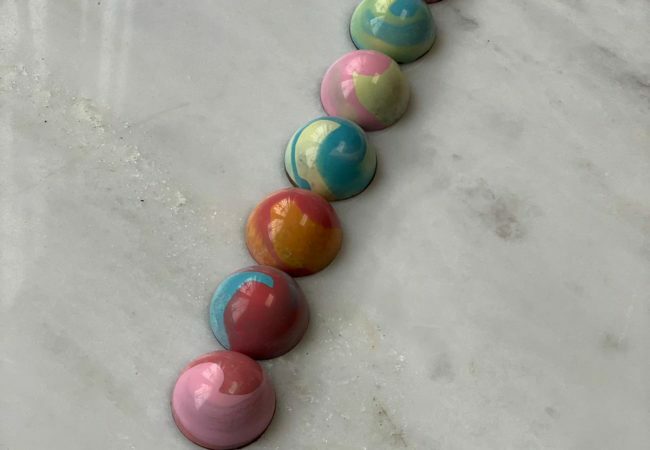 The shells are swirled with pastel pinks, blues, yellows & oranges, these chocolate bon bons are 70% dark Fleur de Cao chocolate, filled with our signature salted caramel. 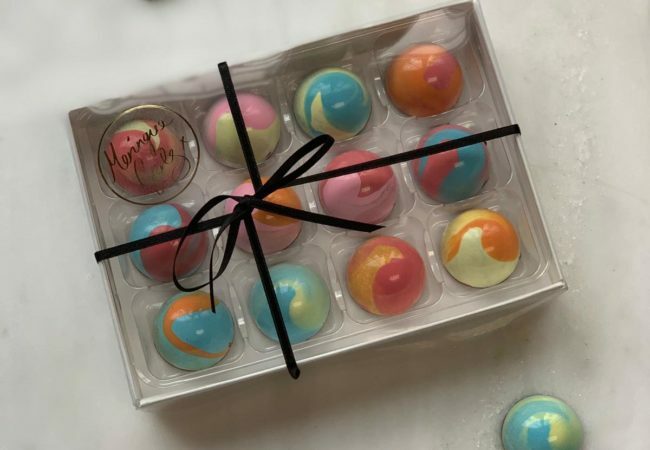 A lovely to present to give & receive. Ingredients – cocoa butter, 70% dark chocolate, butter, sugar, cream, honey, salt. Shelf life – 2 months.